Skateboarders Brush Pack - Free Photoshop Brushes at Brusheezy! Calling all skateboarders and lovers of boarding! We've got a great new pack called the Stakeboarders Brush Pack that is packed full of skaters brushes, urban elements, jumps, and brush scenes that you'll love putting in your designs. 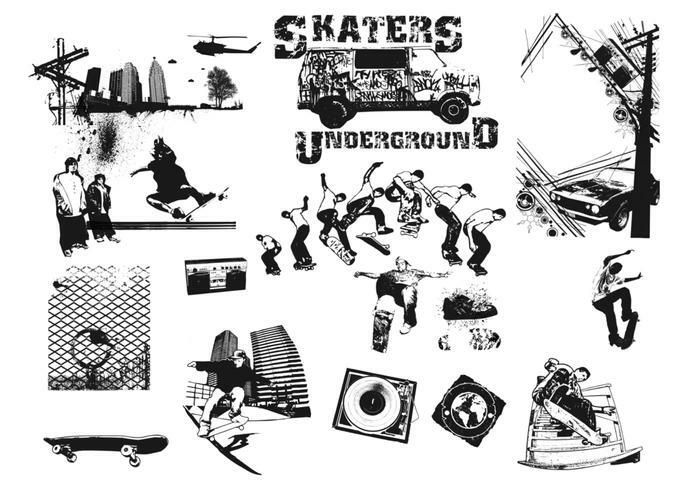 If you'd rather have the skateboarders vectors, just roll on over to Vecteezy and download the <a href="http://www.vecteezy.com/People/26587-Skateboarders-Vector-Pack/premium">Skateboarders Vector Pack</a>!